Along with its duo of resistive Android tablets, the ZiiO 7” and 10”, Creative has also launched a new Zen player, the Creative Zen Touch 2. It’s a pocket sized “wireless entertainment device” (that’s a PMP to me and you), and is running Android. 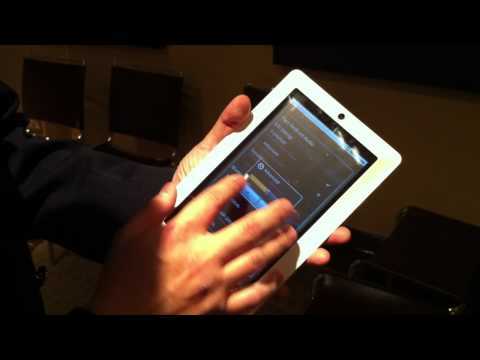 This morning we got a look at the two new Creative Android tablets, the ZiiO 7″ and the ZiiO 10″. While they’re a snip at around £200, there’s also some major corner cutting gone on with Creatve’s latest offering. Dell Streak owners: you won’t be getting Froyo in September, you’ll be getting a 2.1 firmware release of Android 2.1 Eclair instead. This confirmation comes after rumours that the Dell Streak would be getting the 2.1 update “early next month”. Fear not though, as the 2.1 update brings some welcome improvements. If you’ve been keeping up with all the HTC Android news in the last week or so then well done, we’re very proud of you. If you haven’t, then lucky for you we’re on hand to fill you in and also give you the latest.